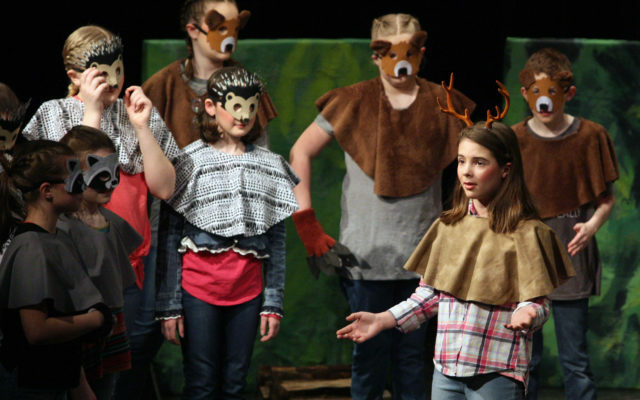 Young actors took center stage Friday and Saturday at the Houlton Community Arts Center for two performances of “Stories of the Ancients” by the Houlton Star Bright Children’s Theatre. 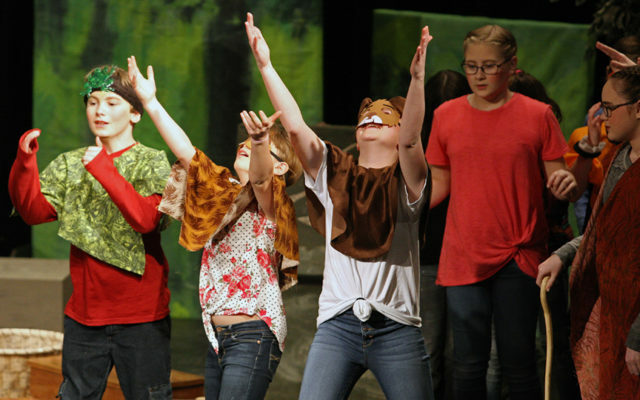 HOULTON, Maine — Young actors took center stage Friday and Saturday at the Houlton Community Arts Center for two performances of “Stories of the Ancients” by the Houlton Star Bright Children’s Theatre. 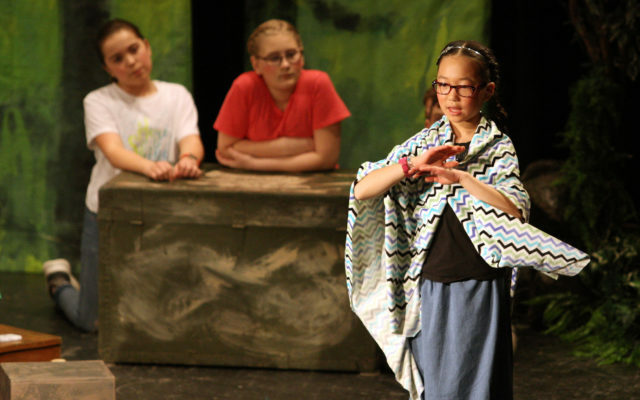 Written and directed by Mary Miller, the play was based on four Native American legends coming to life on an unsuspecting group of children attending summer camp. The Native American elders bring their stories to life, with the children’s help, and the youth learn some things about themselves they didn’t know. The cast, which was comprised of children in grades 3-6, featured William Baillargeon, Lily Bergeron, Olivia Coldwell, Elijah Carter, Amelia Drake, Victoria Ervin, Amelia Flewelling, Rose Hopkins, Sarah Howe, Ella Johnson, Samuel Kafferlin, Karyssa Kenney, Lily Monarca, Travis Monteith, Mylee Sylvia, Summer Violette, Ava Wells, Gemma Wells, Ellis Wright, Lydia Han, Bailey Soucy, Emery Nightingale and Ann Hopkins. The Houlton Star Bright Children’s Theatre, founded in 1969 by students at Ricker College, is one of the oldest community children’s theaters in the country and offers live theater for and by children in the Greater Houlton area. The theater is a non-profit organization supported by generous volunteer help and community donations. 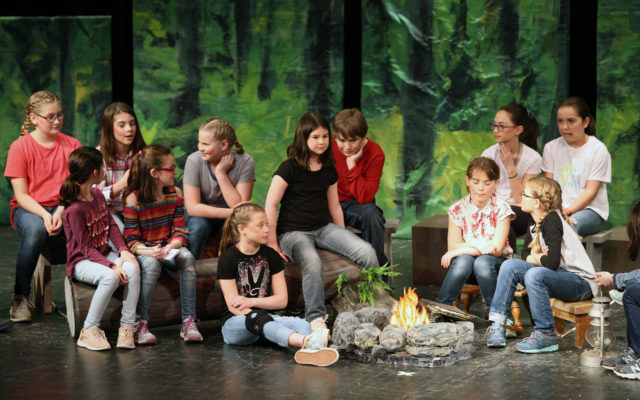 Houlton Star Bright Children’s Theatre is in its 51st year of continuous production of plays “for children, by children.” It began under the auspices of Ricker College, and is now a volunteer organization supported by the greater Houlton community. For more information on the program, contact Miller at 757-7200, or Gary Farnham, president, at 538-9492.